It looks like it may have been used as part of a new advertising campaign by a paint company. 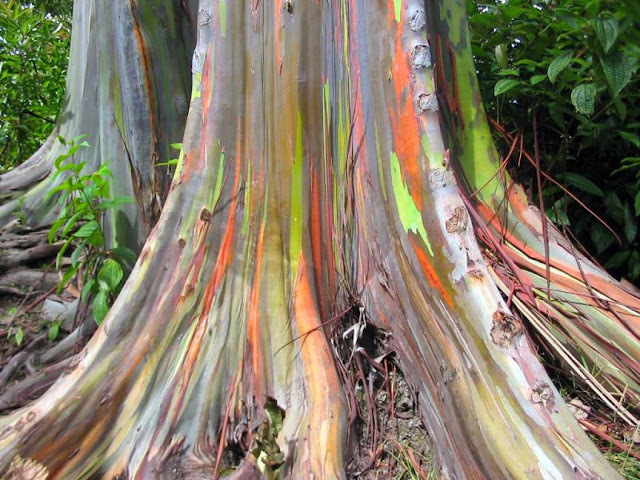 However the Rainbow Eucalyptus (or Eucalyptus deglupta to give it its Latin name) comes in many of the colors of the rainbow. 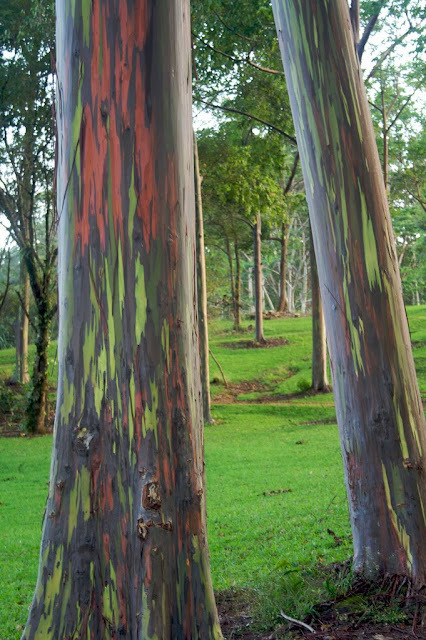 Even stranger, for a tree not widely seen or known, it is the only eucalyptus species that is found in the northern hemisphere – naturally. Its primary use to growers – and here is the shame in a way – is for pulpwood. 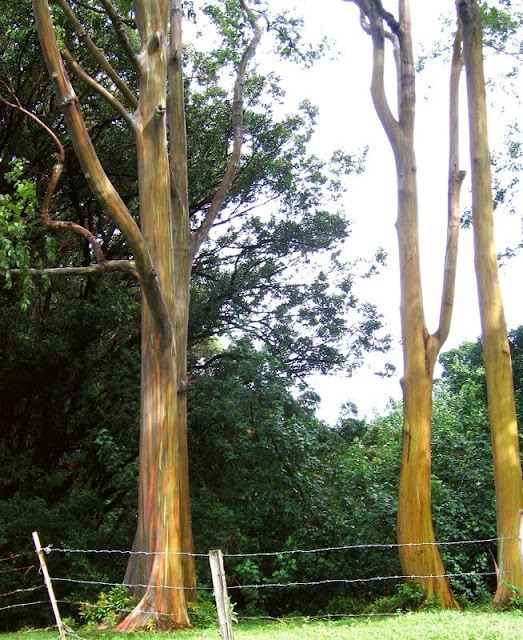 This magnificently hued tree is used in the manufacture of paper. White paper. Of course it is also grown for ornamental purposes. 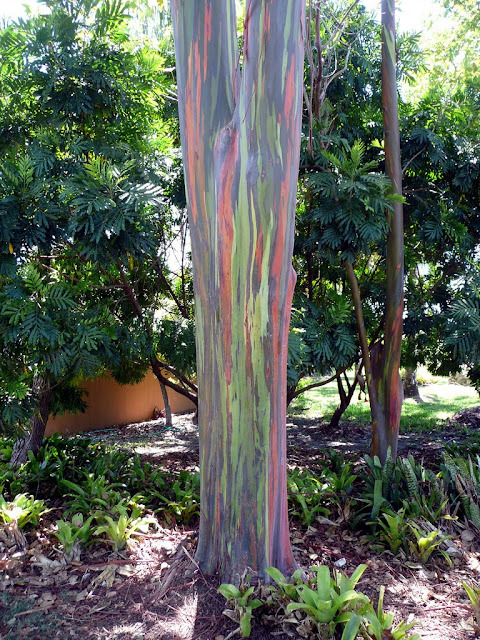 Most people, when they first encounter a rainbow eucalyptus ask the obvious question. Why does it look the way it does? What happens is that each year patches of bark are shed – but at different times. 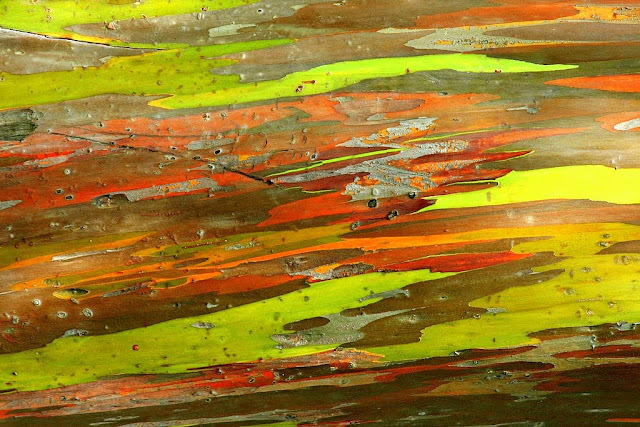 This exposes the bright green inner bark that you can see in many of these pictures. 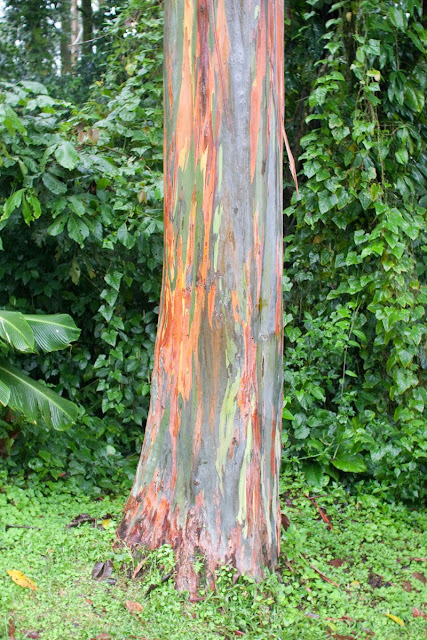 The almost luminescent bark then matures and this means the color gives away to the rainbow effect. First it turns blue and then goes though orange, purple and maroon. Altogether the tree gives the impression of being painted – or perhaps turned this way by some mischievous woodland faun. 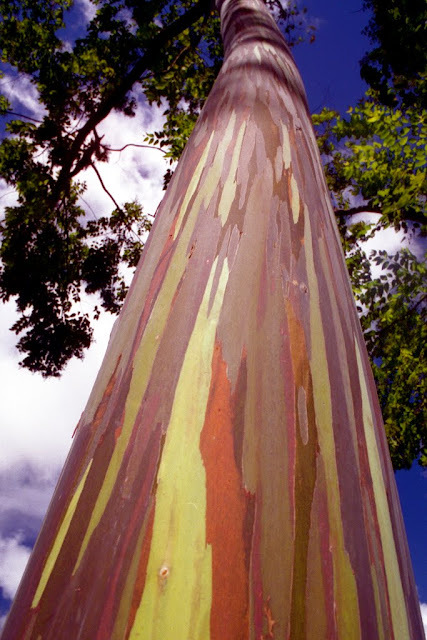 The tree is found mostly in New Guinea, New Britain and Sulawesi. In the pulpwood plantations of the Philippines it is the most common tree used for the production of pulpwood. It is a huge evergreen and can grow up to seventy five meters tall. It has not been used as a plantation species for that long – it is thought that it was taken from its indigenous area of Mindanao to other areas in the Philippines in the early part of the twentieth century. It extended to New Guinea in the nineteen fifties. By the sixties it had made it as gar as the Congo and Sri Lanka. It is now referred to as a pantropic species. Altogether, it is a stunning example of a tree. However, growing as tall as it does, would you want one in your back yard?